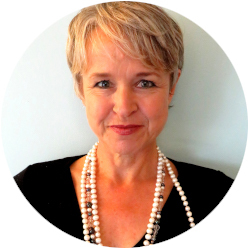 Ali is the director and head teacher of Sādhana Yoga Ltd. (est. 2006), and recently she set up the NZ Yoga Centre in rural town Marton – two hours north of Wellington. Bridging worlds between modern yoga and academia, Ali completed her BA (1st Class Hons.) in Religious Studies in 2015 (specialising in South Asian Religions at Victoria University, Wellington), and finished her Master’s Degree in 2017. Ali’s MA thesis focuses on the changing cultural dynamics within NZ yoga communities. Ali’s unique ‘insider-outsider’ perspective offers an intriguing look at changes taking place in the Aotearoa/ New Zealand (NZ) yoga industry over the last century. She also considers where local yoga trends are heading in the future. Ali’s viewpoint has been further informed by 15 years in the Fitness Industry, working as a manager and trainer at busy women’s gyms. In addition to teaching yoga and pursuing academic research, Ali frequently returns to India, yoga’s birth place, to visit sacred sites, live amongst sadhus (in particular the holy men of Juna Akhara), and run yoga tours for practitioners from NZ. This connectedness with diverse cultures has led Ali’s to her role as yoga ‘guru’. With feet straddling 3 worlds – yoga, academia, and sadhu life – Ali keeps a keen eye on how transcultural trends shape and redefine NZ’s homegrown yoga marketplace. Hi Gaylene, yes it is best to book so I look forward to seeing you this Sunday!